Best one I've got yet. One of some works I'm most proud of completing. l-Kazumi-l has started a donation pool! Those who love my work, and feel generous today(or ever), please donate points! Hi, I am a fan of My Little Pony: FiM, Equestria Girls, and Rainbow Rocks. So I'm a Pegasister. I love both Digital Art and Literature. I am a writer and a self-taught artist. xD I am also a 14-year old voice actress(because I love to! xD) but I kinda sound like Aria Blaze/Sunset Shimmer when I voice act. 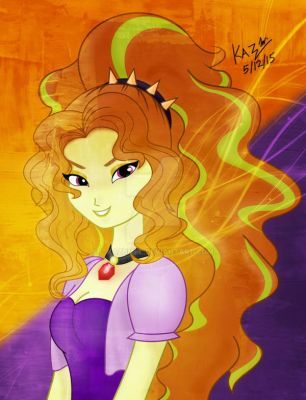 I sing like Adagio/Rarity/Twilight(voice act) or Sonata/Aria(real singing voice). My actual voice sounds like Sonata. xD Please don't be afraid to talk to me. I am not as unapproachable as you may think. Favorite movies My Little Pony - Equestria Girls: Rainbow Rocks Favorite TV shows My Little Pony, The Amazing World of Gumball Favorite bands / musical artists Kazumi Evans, Madeline Merlo, Shylo Sharity, Avril Lavigne, Taylor Swift, Lady Gaga Favorite books The School for Good and Evil Favorite writers Soman Chainani Favorite games Endless Ocean(Wii), Sims(1,2,3,4, and Free play) Favorite gaming platform Wii, PC, Nintendo, Ios Tools of the Trade Autodesk Sketchbook, Photoshop CS6 Other Interests Writing, Reading, Painting, Editing, Studying, etc. So I heard you did pony vector requests? I was wondering if you could make a vector on my ponysona? fav.me/d8x2weo I really need some art for my youtube channel and I would be really happy if you did this vector for me! Sure! I'd be happy to make a vector for you. I just have one question, what pony base for your OC would you like for me to use(or I could find one for you)? Ah, could you find one for me if that's okay? Alright! I'll work on it soon. Well um do you think you could do a vector of my OC Contralto? Oh sure, do you have a sketch or something to help me paint a picture of what I'm going to vector? Thanks SO much for the points it means a lot!